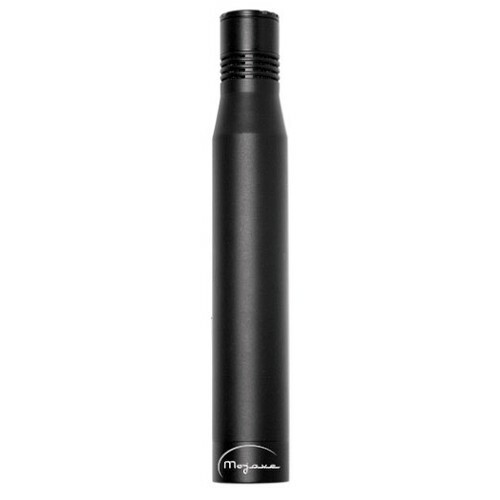 The MA-101fet is a small diaphragm, solid-state condenser microphone with interchangeable cardioid and omnidirectional capsules. Designed by renowned microphone designer David Royer, the MA101fet combines the features of two of Mojave Audio's popular models - the cardioid and omnidirectional capsules from the MA-100 with the electronics from the MA-201fet. New to the MA-101fet is an internally switchable -15dB pad, increasing the headroom to an ear shattering 135dB SPL. This makes the MA-101fet suitable for everything from capturing the subtle nuances of acoustic instruments to the loudesst of electric guitars and drums - great for location recording, too. Featuring hand selected, 3-micron cardioid and omni capsules, a high quality Jensen audio transformer and military-grade FET and custom designed low noise resistors; the MA-101fet is designed to offer excellent performance for a wide variety of applications. Each MA-101fet microphone is carefully tested and evaluated, then packaged in its protective case. Maximum SPL: 125 dB pad off, 140dB pad on.